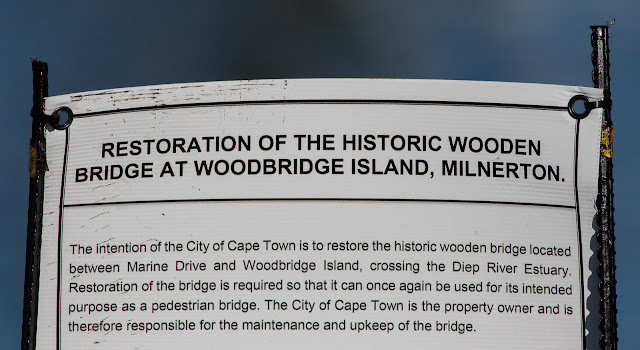 On my early morning walkabout around Woodbridge Island I spotted this City of Cape Town sign signaling their intention of restoring the historic wooden bridge. The intention of the City of Cape Town is to restore the historic wooden bridge located between Marine Drive and Woodbridge Island, crossing the Diep River Estuary. Restoration of the bridge is required so than it can once again be used for its intended purpose as a pedestrian bridge. The City of Cape Town is the property owner and is therefore responsible for the maintenance and the upkeep of the bridge. 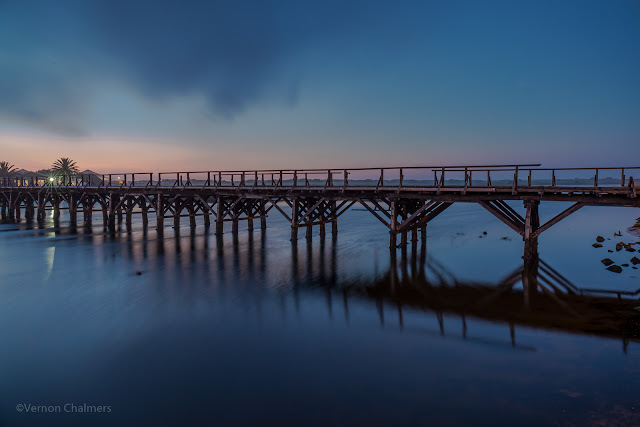 The wooden bridge is a national heritage site. The bridge was previously closed in 1990 and in 1995 re-opened for use by pedestrians. However, in 2007, the bridge was once again closed. 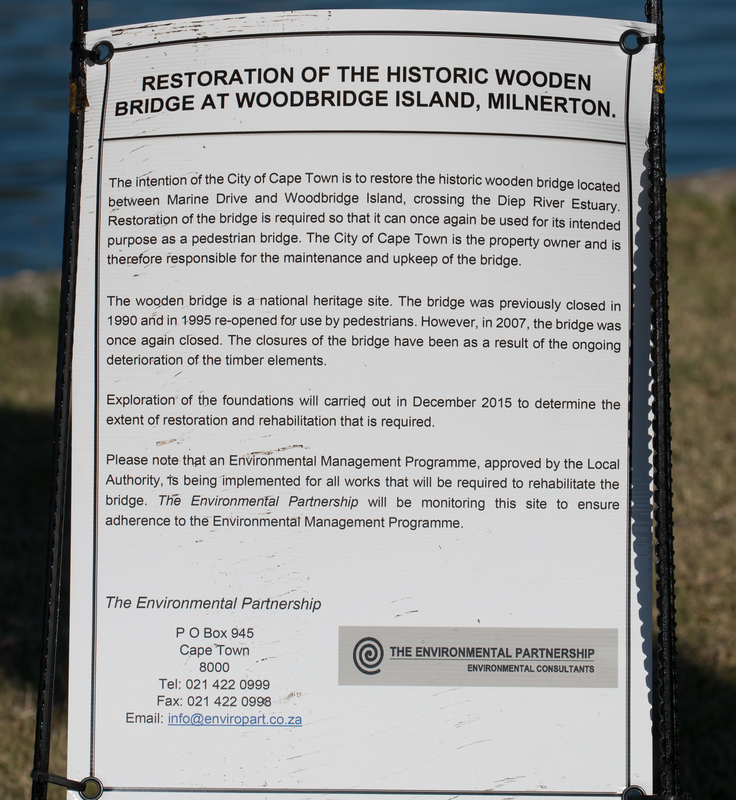 The closures of the bridge have been as a result of the ongoing deterioration of the timber elements. Exploration of the foundations will be carried out in December 2015 to determine the extend of restoration and rehabilitation that is required. Please note that an Environmental Management Programme, approved by the Local Authority, is being implemented for all works that will be required to rehabilitate the bridge. The Environmental Partnership will be monitoring this site to ensure adherence to the Environmental Management Programme.